I made this worksheet for my students of 1st of ESO of Geography. Here they can learn how to do a climate graph and how to analyze it. 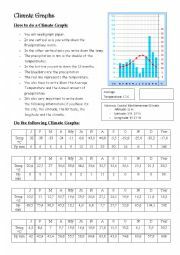 They have information for doing four climate graphs, and also for analyzing them and guessing what is the climate. I hope you like it. 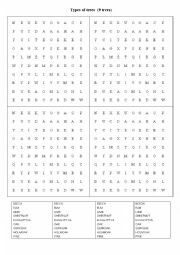 This printable is a word search with different types of trees. It is repeated four times so that we need less photocopies. It is related to the power point of types of trees. In this way the students can review the vocabulary in a different way. 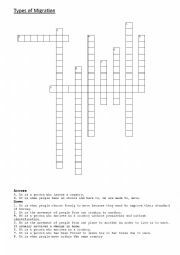 Crossword made for "Education for Citizenship" but is also valid for Geography. It has the keys. In this power point there are some images of the most typical trees of the Oceanic Climate and the Mediterranean Climate.